In wake of the Iraqi Kurdistan independence referendum election, Professor Ahmet Uysal has accepted kindly to share his insights with the Arab Daily News. “Turkey supported the survival of the Iraqi Kurds as an autonomous and proto-state economically and politically. However, an independent Kurdish state project changes the dynamic of the relation between Ankara and Erbil.” Professor Uysal said. Dr. Ahmet Uysal is a political sociologist interested in studying Iranian-Arab-Turkish relations, graduated from the Middle Technical University’s Sociology Department. He received his Master’s & Doctoral degree in the Southern Illinois University, USA. He taught in Sociology Department Dumlupinar University (2005-2009), and International Relations Department, Eskişehir Osmangazi University (2009-2013). Dr. Uysal lived in Egypt just before January Revolution, he has recently published a book on Turkey’s image before and after the revolution in Egypt, where he began to work on the idea of bringing Arab, Iranian and Turkish scholars together. The Arab Daily News: Globally how is the political season in Turkey viewed? Professor Uysal: Despite the apathy toward President Erdoğan and Turkey in some countries in the West. Turkey plays a constructive role in stopping the bloodshed in Syria and Iraq by opposing the breakup of these countries. The Arab Daily News: The massive Kurdish vote for independence in Northern Iraq is moving forward, President Barzani of the Kurdish Regional Government is calling on the Kurds for further Presidential, Parliamentarian and local elections. How do you read the result and the insistence of President Barzani? Professor Uysal: The Barzani family in power gambled politically and thought that the independence vote would strengthen their hand at home and abroad. However a global rejection of the validity of the vote weakened their hand at least internationally. Especially the opposition of Iran, Iraq and Turkey will not allow this project to come to life. Barzani family want to strengthen their domestic position in politics and wave off this crisis by new elections. The Arab Daily News: Is this the consequence or the causality of the absence of a sincere political solution in Iraq? Professor Uysal: Yes, Iraqi political system was established in an unbalanced, excluding the Sunnis and Turkmen from power with the excuse of the de-Baathification operation. The current system has been more like Shia-Kurdish coalition and this coalition was disrupted during the Maliki era under the guidance of Iran. The Arab Daily News: What made the Kurdish Regional Government President Barzani rush to this strategic decision, despite all the calls from the International Community? Adding he himself seems to be facing some legitimacy question after the end of term in 2015. Professor Uysal: President Barzani actually was sitting in his post without a legal basis because his term ended two years ago, and he did not renew the elections. Such an action is unimaginable in the West. His popularity decreased due to corruption and cronyism. So he has to pull off this move to save himself politically. The Arab Daily News: Is this irrational decision from the KRG leaders in Erbil an exacerbation for Ankara? Professor Uysal: No, this decision carries the potential to further fragment the already fragmented Middle East, and another front for ethnic conflicts to destabilize the region even further. The decision is taken without consulting with other political parties in the KRG, let alone with the Central Government in Baghdad or its neighbors. The Arab Daily News: Whatʼs next for Ankara? Professor Uysal: Ankara will oppose the independence vote as a illegitimate and block this process through economic and political pressures. I do not expect a military intervention directly to the KRG (Kurdish Regional Government). The Arab Daily News: Turkey has a serious domestic challenge in the Southeast of the country, with the on going scission process taking place in Northern Syria in the so-called ROJAVA cantons, which is a geographical extension for the KRG. Could this be translated as a domino effect that might spill over the Kurdish region in Turkey? Professor Uysal: As I said above, Turkey is against the dividing both Syria and Iraq, and other countries. We see both the developments in North Syria and the KRG in the same line. Even though there are ideological differences between the PYD-PKK and the PUK, they both have similar ambitions to claim the leadership of the Kurds. Turkey mostly solved the Kurdish problem, but conflicts and instability in the region is of course worries Turkey. The Arab Daily News: Could one compare de facto Kurdish separatism process to the South Sudan? If so would the future of the proto-state in Northern Iraq survive strategically? Professor Uysal: Yes, they are very similar. Both has a significant reserves of oil. The countries that supported the separation of South Sudan did not support them after the separation and it turned violent and unstable after the breakup. The same can be expected in the KRG, but I will see the separation is unlikely. The Arab Daily News: According to some analysts the emergence of a Kurdish State in the region is the end of Sykes-Picot Agreement, and justice for the Kurds? Professor Uysal: No, it is actually the continuation of Sykes-Picot, as it will fragment the region further. I consider it Sykes-Picot version 2.0. The Arab Daily News: As others see it, is it only another destabilization factor in the region? Professor Uysal: Definitely, the region suffered from sectarian violence and this will bring ethnic conflict to the table. The Arab Daily News: Is the Kurdish stubbornness the result of the fall of Saddam Regime in 2003, and the Syrian civil war? Professor Uysal: No, actually the Kurds suffered during the Saddam era, but they are better off after the Gulf war when the U.S. did not intervene in Northern Iraq in 1991. From then on, the Kurds managed their region autonomously. They also shared the power in the Central government. They are paying the price of Maliki’s sectarian policies, but the things were changing for better lately. The Arab Daily News: Regarding the ethnic-nationalism sentiment that is marching in Europe with the Catalan referendum in Spain of last Sunday, is ethnic minorities’ nationalism on the rise in MENA? Professor Uysal: Ethic identity is a part of our life, but in the Middle Eastern context religious and sectarian identity is stronger. 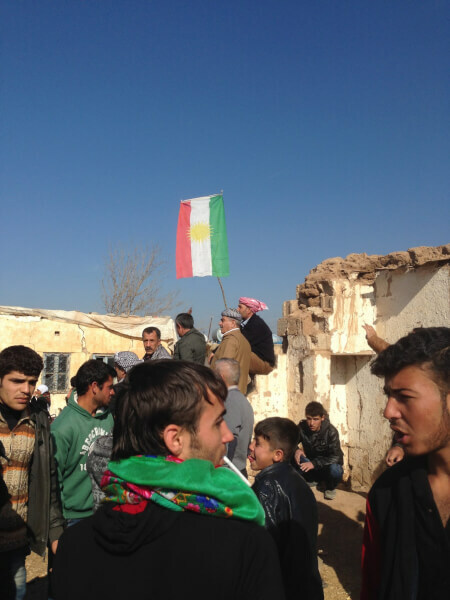 However, we can say that the Kurdish nationalism is on the rise. The Arab Daily News: Does nationalism mean war like then-French President Mitterrand put it? Professor Uysal: Yes, nationalism generally means war because they involve claims about certain territories and imagined motherland. For example, the Kurds now claim that the Kirkuk that is historically is a Turkmen city in a Kurdish land. Of course this is not acceptable, moreover, any nation building ignites further nationalism among minority groups inside the territories of the new nation. For example, the Kurdish separatism will ignite the Turkmen and Arab nationalism inside the KRG. The Arab Daily News: Here in the West, the birth of a Kurdish State in the region (Middle East) would sustain democratic values and ideals. This is the argument of the Kurdish nationalist elite. Professor Uysal: This is the discourse, but it is not true. For example, the Masoud Barzani is using power without a legal base as his term expired two years ago. Like the Central government in Iraq, they are repeating the old authoritarian regime’s oppressive policies, including corruption and vote-rigging. The PKK is a terrorist organization that does not care about democratic values and human life. It does not even allow its political branch (HDP) in Turkey to operate within the democratic game because it nominates their candidates and dominates its activities according to its conflictual interests. Similarly, it does not allow the PYD to operate independently as they appoint new director in the place of Salih Muslim directly from the Qandil mountains. They also commit a lot of human rights violation and expelling or crushing opposing groups even among the Kurds. The Arab Daily News: Could the Kurdish project resist the regionʼs rejection? Professor Uysal: It cannot because they are enclosed geographically among the major neighbors, namely Turkey, Iran and Iraq. The regime in Syria is under the influence of Iran that is more worried about an independent Kurdish state more than other countries. The Arab Daily News: Today the losers are the Arab States in the region because they are already in the non-Arab triangle hegemony: Ankara-Tehran-Tel-Aviv? Professor Uysal: After the coup in Egypt the Arab states lost their leading role even in Arab affairs, let alone Kurdish and other non-Arab issues. The unfortunate thing is that some Gulf Arab states seem to support the break-up of an Arab state, Iraq as they were not against the division of Sudan as an Arab state. The Arab Daily News: What do you think about French President Emmanuel Macronʼs mediation between KRG President Barzani and Iraqi Premier al-Aʼabadi? Professor Uysal: The problems must be solved with dialogue and peaceful means. France is in a good position to mediate among the parties in the crisis. The Arab Daily News: France has a history for being a solid asset for the Kurdish “cause”, this goes back to the 80s. with Madam Danielle Mitterrand actions giving vocal support in France and in Europe. Professor Uysal: This makes them lean toward the Kurds and somewhat partial, but any peaceful solution is better than bloodshed and continuous feuds. The Arab Daily News: What inspires you regarding the mutism of the Arab League? Professor Uysal: Arab league has been ineffective, especially after the departure of Secretary Amr Moussa. It was unable to stop the massacre in Syria and bloody conflicts in Libya and Yemen. It is paralyzed by the Egypt’s current weakness and by its Gulf funders’ disinterest in Arab unity. The Arab Daily News: Would the Kurdish proto-state enhance the relation between Ankara and Tehran? Professor Uysal: Turkey supported the survival of the Iraqi Kurds as an autonomous and proto-state economically and politically. However an independent Kurdish state project changes the dynamic of the relation between Ankara and Erbil. The Arab Daily News: Is the Ankara-Erbil long years’ “honeymoon” over? Professor Uysal: Turks and Kurds have a long shared history and deep cultural and social relations inside and outside Turkey. They cannot give up on each other very quickly. However the latest crisis will take its toll on the relations for awhile. The Arab Daily News: Finally would you tell us a word about IRAM Center? 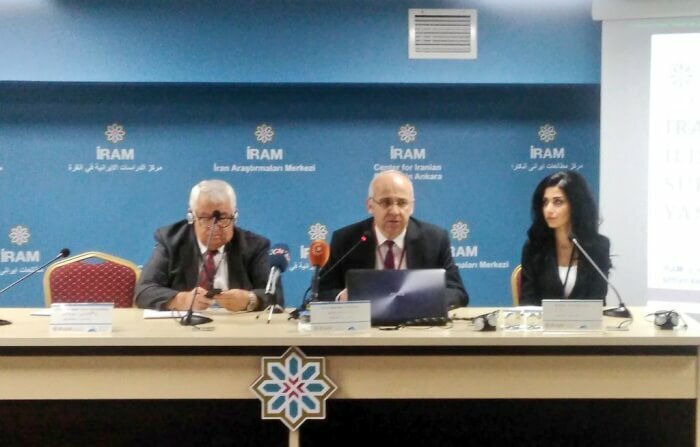 Professor Uysal: As an independent think-tank, our Center for Iranian Studies (IRAM Center) aims to study the Iranian affairs in four areas: Iran’s domestic politics, foreign relations, economy and sociocultural dynamics. We are located in Ankara and have good ties with the Turkish academia as well as its international counterparts. We focus on both research and teaching as we are holding courses, seminars and workshops along with research projects, publications. THIS POST HAS BEEN READ 38777 TIMES SO FAR. THANK YOU!